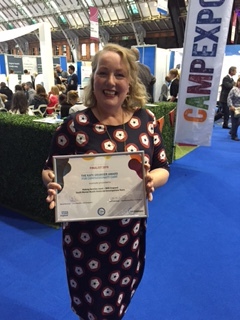 you look very Meryl Streep at the expo, making families count was a worthy finalist . Well done for being hands on with the move, we can all pitch in with other people’s new beginnings/new chapters whilst holding onto our precious memories. ha! ha! Meryl after she’d found the donuts! I really had no choice with helping my bro with the move. Call it love, call it duty. Mostly I made a promise to my mother that I would always look after him, so I try to. I found there was not very much in the way of precious memories for me to hold onto and strangely, I feel lighter for closing that door behind me. Thanks a lot for the Meryl Streep bit though!!! What a two days! And what a transformation from the woman on the training video. In all sorts of ways you are looking after people, while laying aside those things that need to be consigned to the past. There’s no need to be apprehensive about moving into new arenas – you are contributing to them in the unique way that only you can do. Keep writing and speaking. I’ve a sense that you are growing into the person you’re meant to be, gradually learning your strengths and using them to good purpose. Ah Grannie, you just made me tear up a bit (it really doesn’t take that much now) – it’s that sentence “you are growing into the person you’re meant to be”. I do hope so. That would be a lovely thing and a fitting tribute to my lovely son. Thank you.